The best kept secret in science! Deciding for ourselves if science is right or wrong is something we absolutely can do by using the common sense given to us at birth. That’s what it’s there for, to help us make good decisions, but our education attempts to remove it. There is a discernible but virtually insurmountable barrier put in our way that says ‘science is right whatever you may think’, an inferiority complex instilled by years of educational brainwashing. The problem as far as this page is concerned is that most of the million year dates given below are founded on the flimsiest evidence. Radiometric dating is a parody that relies on assumptions, of guessing the condition of rock millions or even billions of years ago. As if that were not enough, there have been reports by scientists themselves of late that speak of seasonal variations in the decay rate of isotopes. radecaysun The age of the Earth, the Moon and planets are in serious doubt, as is the constancy of time itself, if it even exists, let alone the age of rocks beneath our feet. If science is wrong it does not care that it’s wrong as long as it does not have to change the text books. Although we are told that Antarctica has been Ice bound for 15 million years there has been found recent looking combustible and buoyant wood. Mr. Peter Web and co-workers have discovered that along 13000 KM of the Transantarctic Mountains there are shrubs and pollen and the remains of trees. They guess 🙂 that the wood is only 3 million years old and was found within 400 miles of the South Pole. It has been argued that the mean temperatures at the time of growth were -12 degrees C and that earth temperatures were higher. A flurry of theory patching has erupted and explanations like meteor impact washing the wood inland and wind-blown pollen abound. The mean temperature today is about –40C. A worldwide rise in today’s temperature sufficient to grow these plants/trees would mean a heat disaster in the tropics. The Piri Reis map is a copy of a copy, used by ancient mariners. It shows an ice-free Antarctica. There are several other maps thought to be copies of ancient source-maps. Who made the originals and when? The Earth’s northern-most landmass in Northern Greenland has a similar situation with the remains of forests, the stumps of trees still embedded and upright. These fossils proved to be remains of stunted bushes of beech. At only three to five million years old, they were some of the last plants to have lived on the continent before the deep freeze set in. Annual rings in fossil wood reveal Antarcticas subtropical past However, other fossils show that truly subtropical forests existed on Antarctica during even earlier times. This was during the “age of the dinosaurs” when much higher CO2 levels triggered a phase of extreme global warming. TPW – true polar wander, was once a scientific theory on a par with plate tectonics. The outer crust – lithosphere is theorised to move on the liquid lower mantle, thereby shifting the position of continents on the face of the Earth’s globe. A shift in any direction would move Antarctica into a warmer climate. “Go back 100 million years ago and Antarctica was covered in lush rainforests similar to those that exist in New Zealand today,” said Dr Vanessa Bowman who works with Francis at the University of Leeds. “We commonly find whole fossilised logs that must have come from really big trees.” Professor Francis has been polishing thin slices of these logs to reveal the “annual rings” in the wood. Studying these tree-rings sheds light on ancient climate. Possibly the weirdest and most baffling feature of the polar forests was their adaptation to the Antarctic “light regime”. Near the pole, night reigns all winter long while in the summer, the sun shines even at midnight. The expanding earth theory was also an acceptable scientific theory, using the same evidence as plate tectonics. It explains the fit of continental coasts and includes Gondwanaland. It was only abandoned because scientists had no explanation for the increasing mass. Professor David Beerling of the University of Sheffield, and author of Emerald Planet, explained the challenge that Antarctic trees must have faced in this unusual environment: “During prolonged periods of warm winter darkness, trees consume their food store,” he said. And if this goes on for too long, they will eventually “starve”. British scientists have discovered rivers the size of the Thames in London flowing hundreds of miles under the Antarctica ice shelf by examining small changes in elevation, observed by ESA’s ERS2 satellite, in the surface of the oldest, thickest ice in the region, according to an article published in Nature this week. The finding, which came as a great surprise to the scientists, challenges the widely held assumption that sub glacial lakes evolved in isolated conditions for several millions of years and raises the possibility that large floods of water from deep within the ice’s interior may have generated huge floods that reached the ocean in the past and may do so again……. You may/or may not remember that the Russians were threatening to drill a hole into sub glacial Lake Vostok in Antarctica hoping to find signs of ancient life. The Americans were against it on the grounds that they would contaminate it. Then someone noticed that there were rivers under the ice that connected the lakes. So, it would be fruitless drilling, as the water would be contaminated by other water sources on the surface. I recall reading a file (now lost) by a nineteenth century scientist who worked out the amount of heat required to transport ice to the poles. He claimed that it would require an amount of heat equal to melting an equivalent weight of iron. As I know of no one who has refuted this claim, I can only assume that far from a drop in global temperature, it requires a large amount of heat to trigger an ice age. Where did the heat come from? It seems our mainstream science of climatology is in need of serious revision. Or, it could be calmer, creating a cooler climate on Earth similar to what happened in the late 17th century. Almost no sunspots were observed on the sun’s surface during the period from 1650 to 1715. This extended absence of solar activity may have been partly responsible for the Little Ice Age in Europe and may reflect cyclic or irregular changes in the sun’s output over hundreds of years. During this period, winters in Europe were longer and colder by about 1 C than they are today. Since then, there seems to have been on average a slow increase in solar activity. (This is not what Phil Plait says) Unless we find a way to reduce the amount of greenhouse gases we put into the atmosphere, such as carbon dioxide from fossil fuel burning, the solar influence is not expected to dominate climate change. But the solar variations are expected to continue to modulate both warming and cooling trends at the level of 0.1 to 0.2 degrees Celsius (0.18 to 0.26 Fahrenheit) over many years. The phrase *Climate Change* is totally meaningless as the climate is always changing. It replaced Global Warming which was dropped in case it was found that the globe was not warming. See Climategate Global Warming replaced Global Cooling of the 1970’s. There also was a Report by the U.S. National Academy of Sciences (NAS) entitled, “Understanding Climate Change: A Program for Action”. It’s confusing and deliberately so, we are supposed to follow the scientific consensus that leads to perpetual jobs for climatologists. BTW: this has little or nothing to do with what is actually happening. I read that Antarctica and S.A. were joined until about 3m years ago, i’ve read other versions since, but whilst they were joined there’s a strong likelihood that west antarctica was bathed in a S.H. 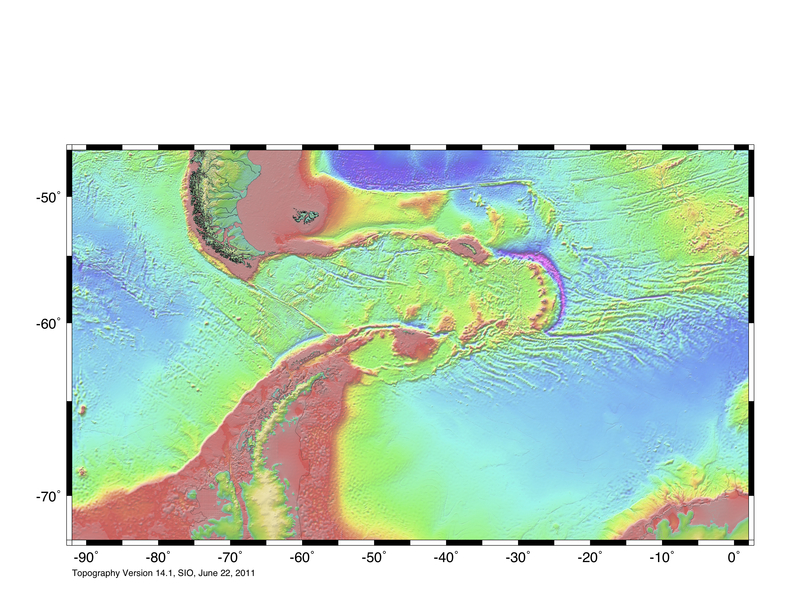 version of the gulf stream my guess would be the atlantic side of S. America but. https://www.esr.org/research/polar-tide-models/movies/ ocean currents appear to be residuals of tides. Interesting, I seem to recall that Greenland is two halves also.